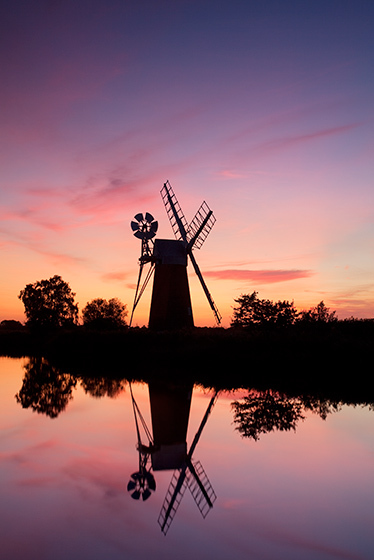 The Norfolk Broads is an outstanding area for landscape photography, whether we are aiming to shoot atmospheric sunrise images or dramatic sunset images there is so much potential for stunning image in this unique landscape. 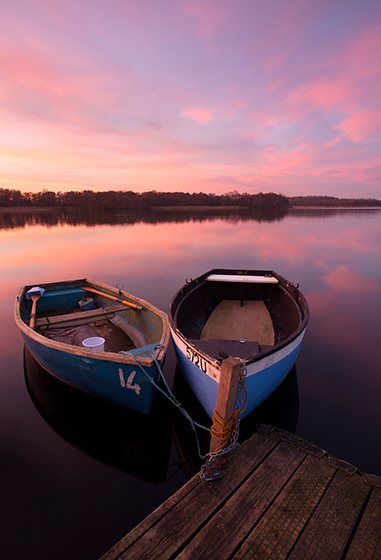 The Norfolk & Suffolk Broads is made up by a network of rivers and shallow lakes. 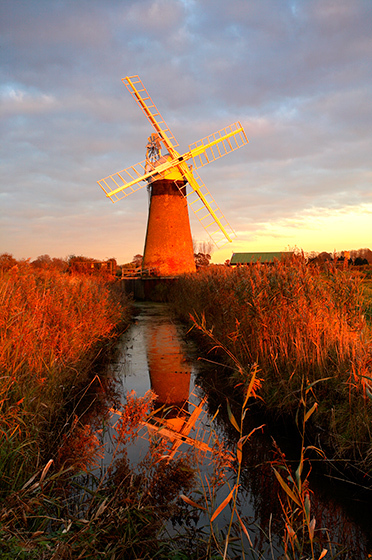 During the 17th Century local landowners began draining the surrounding marshes by building drainage mills and a good selection of these mills survive today, each mill very different from the next. 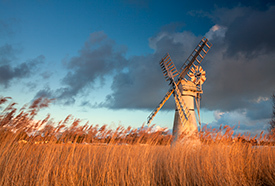 Unlike traditional windmills that were built in villages to grind flower the drainage mills of the Norfolk Broads are often smaller and are found on their own in remote areas of the marshland as opposed to cluttered town or village settings that is often the case with mills that were built to grind flour. 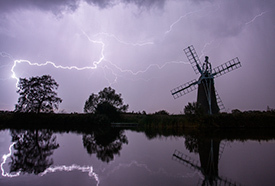 On this Norfolk Broads landscape photography workshop we will be concentrating on photographing at least two or three different mills, some maybe complete and some maybe derelict. 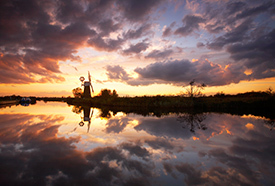 Windpumps are not the only thing worth shooting on the Broads, we will also look at taking images of local landmarks such as the ruined St Benet’s Abbey along with the opportunity to photography traditional sailing boats such as those from the Historic Hunters Fleet or if we are lucky a traditional Norfolk Wherry. 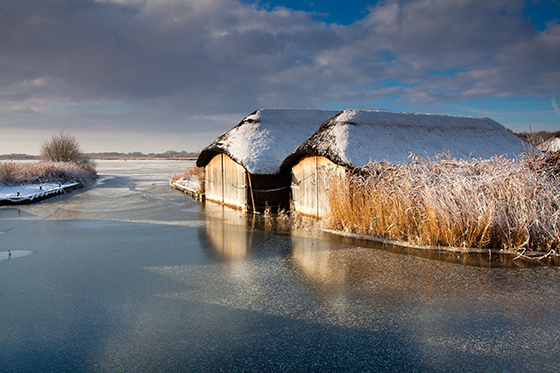 The reedbeds and intricate network of rivers and dykes also offer plenty of potential. 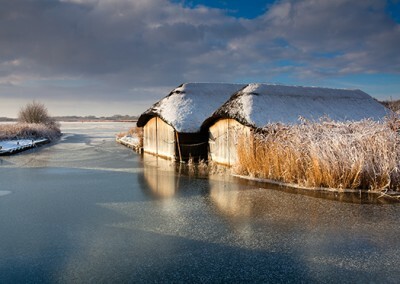 Although this workshop is mainly going to be focused on landscape photography if you are keen on taking images of wildlife pack a tele-photo lens as the broads always offers plenty of opportunities. 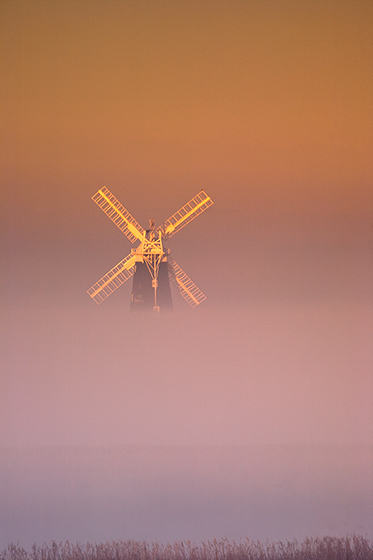 During the workshop we will also look at how to compose your images to get the best out of the angle of the sails, how to meter correctly with ND Grad filters and how to get the best out of such locations. Please note workshops between the end of September and the end of Feb the workshops may begin at dawn and at other times of the year we usually start later in the day and include a sunset shoot. If you want to double check the start and finish times along with locations for a workshops then please do not hesitate to contact the office. 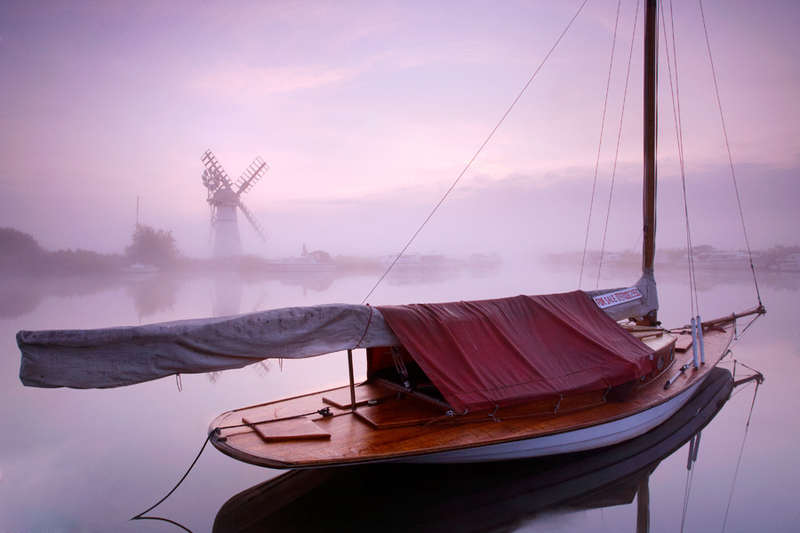 The Norfolk Broads photography workshop is aimed at all levels including complete beginners. Due to the way I teach this is a more relaxed way of working as opposed to learning in a classroom environment, we will be shooting first hand and seeing how the changes we make in our settings, approach and technique affects are images. Due to the small group numbers on the courses I will also be going around each individual photographer to also make sure what is taught is relevant to you and your camera. For further information & booking forms for our one day workshops please click the below link or contact the office for a one day workshop brochure .